I’ll preface with this: If you have never read Robin LaFevers’ Grave Mercy, you are missing out. It’s a story filled with assassin nuns, struggling love, historical ideas, and death. Lots and lots of death. If you don’t know the story, I will sum it up for you, so that we are all on the same page. Mortain’s daughters serve their father, the god of death himself, in their convent and in the field, assassinating those marked by his touch. Ismae is one such daughter, sent to guard Brittany’s young duchess and unravel the plots against her. Unfortunately, her justice conflicts with the needs of her “cousin” Duval at court, and they must synchronize their efforts to kill the right people and save their kingdom. How ought we to use our powers? Look to Ismae: she poisons, she’s swift, and her job is to obey Mortain first and the duchess second. Everyone else is collateral damage—her view of death is black-and-white. The loyalties planted in her mind simply don’t allow for other options. Unfortunately, the real world isn’t that easy: death has consequences. Ismae silences men with valuable information. Someone marked for death deserves to live, for at least a little longer. The roundness of the world leaves a lot of room for interpretation in the square corners of her morality-box. 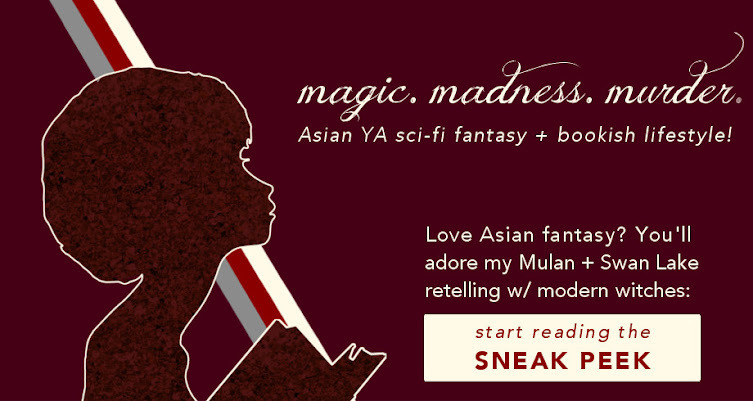 Now, I won’t spoil the whole ending for you, but Ismae learns that there’s a little more to death (and her powers) than justice—she can deliver mercy, too. She can send souls onward. She can protect victims. And her knowledge of poisons can save as sure as they slaughter. With a surprise message of encouragement, she realizes that the morality she has been instructed in doesn’t cover the entire spectrum. She has a bigger and better purpose, and she accepts it with enthusiasm. You’re riveted by this, I’m sure, but whether you know it or not, we all face these kinds of choices. If you’re like me, your talent is not for killing. Maybe you like to sing, or paint, or fix cars, or teach, or pick flowers, or fill out spreadsheets, or come up with great ideas and sell them. In my case, it’s writing. Like Ismae, I’ve received training in my writing skills. The focus of my AP Lang class last year was rhetoric, the ethical use of language to make arguments. There are grammar rules: I before E except after C, don’t let your participles dangle, etcetera. I’m told to write about a lot of things as well. School projects, scholarship essays, standardized testing—assignments galore. And my well-meaning school sends me off to go to college and make lots of money. Preferably as a STEM tech, or an attorney, or a doctor. However, what I was trained for is not what I want to do. Don’t get me wrong; I like my school and the jobs I listed are important. But I want to be a writer—I want to give stories, share ideas, not get admitted or earn a grade. Writing is another kind of breathing. It’s reading, watching movies, scribbling, scrawling, plotting, editing, and engaging with worlds mere pages away. My education didn’t cover the whole spectrum, either. Everyone is confronted with the chances to use their great talents in different ways. Unlike Ismae, I haven’t pinpointed what I want to do yet. In many ways, my “powers” are still in their training stage, and I have a long way to go. There’s always hope, though. Ismae can find mercy in death. I can glean life from creativity. And whatever our “convents” may say, there are other factors out there that give our powers a purpose we may never have considered before. Believe me, I wouldn't be caught dead saying otherwise. What are your superpowers? Do you think you’ll use them differently than how your “training” expects you to? You're welcome, and thank *you* for guest posting! 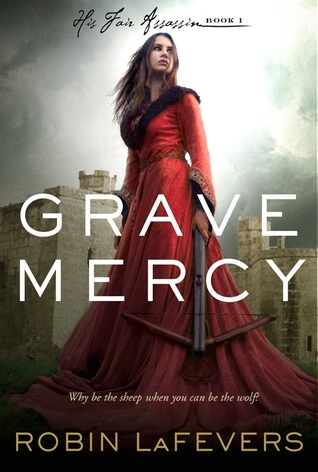 I don't like missing out :P Clearly Grave Mercy should be on my TBR. But yes. Often what we are set up to do is not what we really want to do. I guess that is when home schooling has an advantage, in terms of education. Great post! I agree. It's not a LOVE LOVE book. I mean, there are two sequels and I haven't felt the need to pick them up just yet, but it was funny and like Alyssa said, still good. True! I used to think that I'd ace school writing because hey, how hard can it be? Turns out that essay writing is very different from storytelling -- and both are very difficult superpowers to master. Superpowers? Uh, writing maybe? I like writing and according to my mum I've "spent most of my teenage years scribbling in notebooks", so something has to come from that right? And I've been published for my poetry...does that count? I feel you on the dangerously high TBR piles. If you're looking for historical fiction in the Plantagenet/Tudor periods, I really recommend Phillippa Gregory and Katherine Longshore. Many books between the two of them.